Skilled Brisbois machine operators who are specialists in custom tooling innovation and custom modification of standard tools to meet specific machining needs add another important dimension to our precision grinding business. Special end mill geometries and cutter diameters, unusual flute lengths and depths, special primary and secondary angles and other factors critical to special tool design are thoroughly understood and interpreted. Special cutting applciations are investigated on request, and custom-designed tools having optimum performance characteristics are routinely produced. In fact, there's little inthe way of special, customized cutter tooling that cannot be ground, reground, reshaped or otherwise manufactured to specification on the equipment we have on the floor. The equipment list for the company is quite extensive. 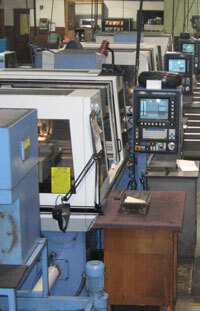 It exceeds 50+ machines; this enables us to process the best quality products in the shortest time possible. We always meet our customer's expectations, both planned and the the unexpected emergencies or breakdowns. Our extensive equipment gives us the flexibility to be able to respond to our customer, as well as maintain multiple project schedules as a manufacturing company. In addition, J. Brisbois engineers and journeyman machinists regularly refit, modify and maintain our own tols and special machinery. And it's this kind of in-house capacity that's structured by our management to insure total operational efficiency and cost control — benefits we pass on to customers in the form of faster service and low, competitive pricing. 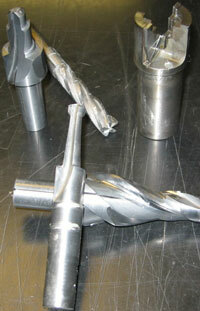 We regulary ship tools in four weeks from design to customer spindle. We can also ship tools the same day as circumstances require. No order is too small and no job specification too complicated. We pride ourselves on a 24-hour turnaround service on request. We will also pick up and deliver with our own vans anywhere within a 50-mile radius of our plant, and maintains regular schedule of stops at customer locations. Everyone that works for J. Brisbois is a quality inspector. In Process Inspection is our standard practice. Tools are marked with a tracking number to allow for exact accountability of every process, from procuring of raw material to final operation of finished product. Customers are provided with inspection reports with every job.